WASHINGTON — Who in their right mind brings a gun to the airport these days? Well, in this post-Sept. 11 era, despite heightened airport security, the number of firearms seized at U.S. airport checkpoints jumped to 833 in 2008, up nearly 10 percent from a year ago, according to the Transportation Security Administration. The 2008 figure was down from 915 in 2006, but nonetheless perplexing, said TSA spokeswoman Ann Davis. The figures were compiled at the request of ticklethewire.com. Davis said a frequent excuse from gun owners, particularly some hunters, is that they forgot the weapon was in their bag. “One would think a responsible gun owner would know where a firearm is at,” she said. 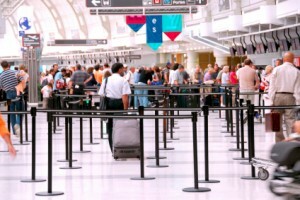 In another key category, the TSA reported that the number of suspicious behavior arrests at the airports more than doubled from 384 in 2007 to 851 last year. Posted: 2/24/09 at 12:24 PM under News Story.